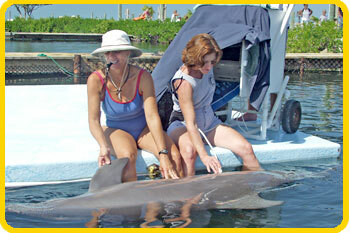 Have you ever wondered about the cost and effort that it takes to take care of the animals at Dolphin Research Center? Their health and wellbeing is given the highest regard. The fish our marine mammals receive is restaurant quality and so fresh that you could walk into our fish kitchen, pick out whatever you desire from our selection, and cook it for yourself. Exceptional care of our animals doesn’t stop there. Our dolphins, sea lions, birds and cats are given supplements, medication and herbal remedies and anything else they need to guarantee the best health care available. This all costs approximately $300,000 a year. That price tag does not include the personnel involved in ensuring that everything our animals are given is the best quality possible. 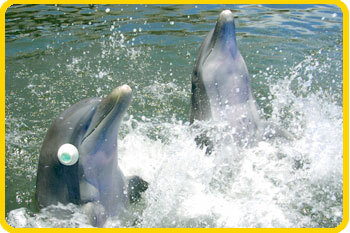 Research has always been an essential part of Dolphin Research Center's mission, and for good reasons. First, research helps us understand these amazing animals, including how best to care for them. It also provides our animals with mental stimulation and challenges (What we call "cognitive research," the animals experience as "thinking games!"). And research showcases their intelligence in a way that can only inspire conservation in people who hear about it. DRC is one of the only places in the world where guests can watch research with dolphins on a daily basis, and then later – if they're interested – read about the results of those same studies that we present in scientific conferences and journals. Of course, this science isn't free. In addition to the cost of our animals' care and training, our research currently costs approximately $150,000 a year, including equipment, materials, and staffing. Dolphin Research Center is licensed to rescue, verify the location and condition of manatee(s) injured and/or distressed in a primary response area that includes, primarily the Southeastern United States, along the Atlantic Coast and the Gulf of Mexico but could be anywhere within the United States upon request of the Fish and Wildlife Service. Dolphin Research Center is the only state and federal government authorized Manatee Rescue Team in the Florida Keys. As a Designated Rescuer licensed by the Fish and Wildlife Service, the level of involvement requires substantial expertise and training in manatee rescue techniques. DRC invests a lot of training time and man hours to ensure that all manatee rescue crew members are highly proficient. 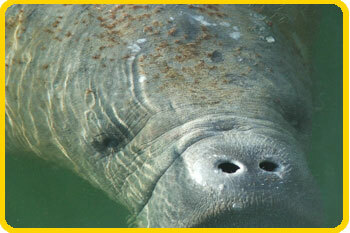 All DRC’s manatee rescue efforts are voluntary and are supported by private members and donors.